I had to revisit one of my previous notes today: Note 237 – Do you lay or lie on the settee? to check the past tense of the word lay which is laid and NOT layed, for example, ‘I laid the information out concisely’. 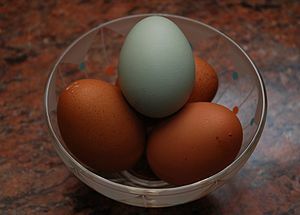 The past tense of lay (as in to lay an egg) is laid e.g. Details of other tenses of lie and lay are in Note 237. Response: There’s no such word as ‘layed’, the answer is ‘laid out’. My thoughts: I’m going to stick to the correct spelling of laid. So, what are your thoughts on ‘there’s no such word as layed’?.